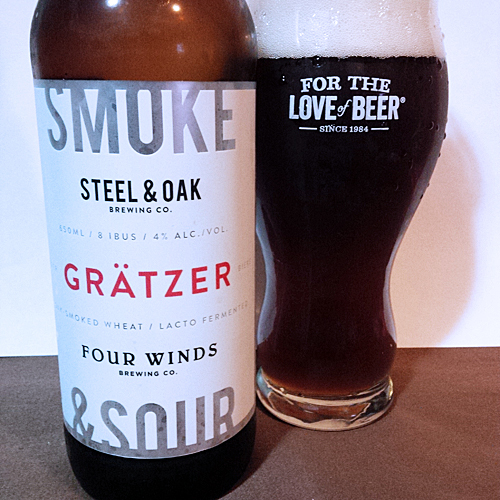 Steel & Oak / Four Winds Collaboration Gratzer: This is an old world style of smokey, slightly sour beer brewed to a strength of 4% abv featuring oak smoked wheat malt instead of barley and some lacto-fermentation to give the sour effect. This style almost died out as it was only being brewed in Poland, where it was known as Grodziskie, and even there it hasn’t been brewed for about 20 years. 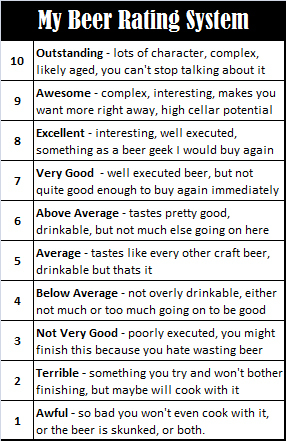 However, we are starting to see it pop up here and there as brewers are rising up to the challenge and trying to differentiate themselves by brewing unique beers. Aroma and Appearance: This beer pours a cloudy brown colour with a lot of carbonation and two fingers of dense foam. Its aroma is very unique, featuring mussels, smoked salmon, meaty bacon, pulled pork and an overall sour effect. Flavour: This beer featured tasting notes such as pepper, seaweed, smoked salmon, hickory, bacon, oysters and seawater with a husky wheat texture throughout and yogurt like funkiness. Overall Impression: Admittedly, it was so different that I wasn’t sure what to make of it at first. I expected the smoke and sourness (duh, it’s on the label) but the seafood notes were surprising. At the end I found that it grew on me and I was glad I picked one up to try. Rating: Very good at 7/10, be sure to give your palate time to adjust to it before passing judgement; if anything, this is worth picking up for its uniqueness alone. Food Pairing: Bacon or sushi would be interesting or grilled haloumi cheese which has a similar saltiness and texture. I have to give these two still fairly new breweries credit for doing something different and collaborating on a beer like this, here’s their promo for the collaboration announcement. This sounds amazing, I must give this a go. Great descriptions. Cheers. Maybe because I don’t eat seafood i didn’t get most of those flavours. I just couldn’t get that much depth out of it. Just not my thing. 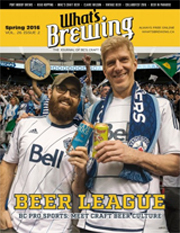 First for everything for both breweries. For me it was overwhelmingly fishy and meaty, my second bottle is going to be paired with bacon and sushi I think, should be an adventure.